Do not starch, use bleach or fabric softner. Dry clean or hand wash with mild detergent. Rank insignia is worn 1 inch from inside edge and parallel to inside edge. 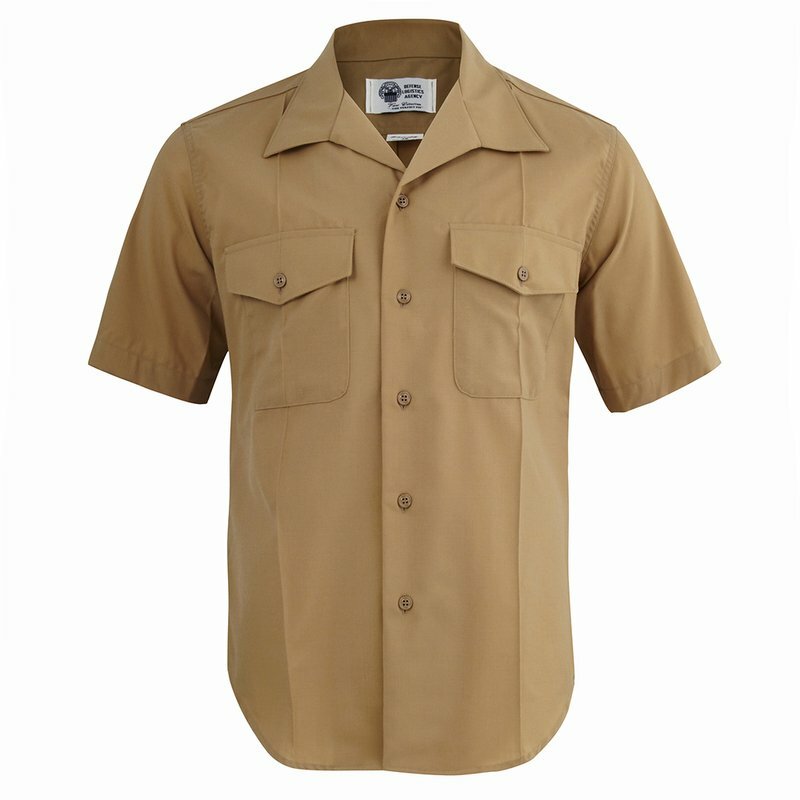 Shirt-stays with khaki shirts are always worn. Collar grade insignia will be worn on both sides of the collar of khaki shirts. When the service “A” uniform is worn by officers, the wear of the collar insignia is required at all times. The insignia will be centered between the top and bottom edge of the collar, with the outer edge of the insignia one inch from the front edge of the collar. When the shirt collar is buttoned up the insignia will be parallel to the collar edge. Ribbon bars will be centered 1/8 inch above and parallel to the top edge of the upper left pocket of dress “B” coats, service coats, and men’s khaki shirts. When marksmanship badges are worn, ribbon bars will be centered over the pocket with the bottom edge of the ribbon bar 1/8 inch above the widest holding bar of the marksmanship badge(s).